For more than two decades, the People’s Democratic Republic of Yemen (PDRY) was an interesting experiment in Arab socialism. Women were granted equal rights, a beer brewery was built, qat consumption was limited to weekends (qat is a widely used narcotic made from a native shrub), and revolutionaries – later to be called terrorists – from all over the world underwent military training in South Yemen. The PDRY of the 1970s and 1980s was a haven for fighters of the radical left, such as the Popular Front for the Liberation of Palestine (PFLP; see also Palestinian leadership) and the German Rote Armee Fraktion (RAF). Traditionalism and modernity often clashed during these years, just as rural tribalism, conservative Islam, and radical, hard-line socialism proved difficult to combine. The foundation of the PDRY eventually proved too small. Foreign support during the years was reduced to that of one major sponsor, the Soviet Union. Prime Minister Ali al-Nasir Muhammad al-Hasani, in an attempt to broaden support, was ousted in 1986 by fellow leaders in two months of bloody battles, which cost many thousands their lives. 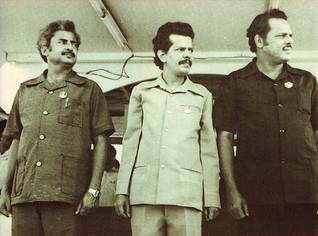 These battles were fought between two wings of the Marxist party, which were organized largely along tribal lines. With the collapse of the Soviet Union in 1989 the PDRY lost its sole benefactor. In 1988 PDRY’s Prime Minister, Ali Salim al-Beidh, and YAR President Saleh began unification talks. 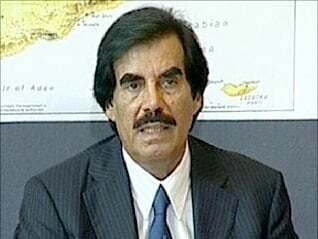 In 1990 al-Beidh became the Vice-President of unified Yemen under Saleh.